1. Preheat oven to 350 deg F / 160 deg C. Line a loaf pan with parchment paper. Wash peaches in cold running water until all the syrup has been cleaned off. Pat completely dry, and slice. Set aside. 2. Cream butter and sugar till it turns very light and fluffy. 3. Add in eggs, one at a time, scraping the sides of the bowl and ensuring that the batter is mixed thoroughly. Don't be tempted to cut short the mixing time! 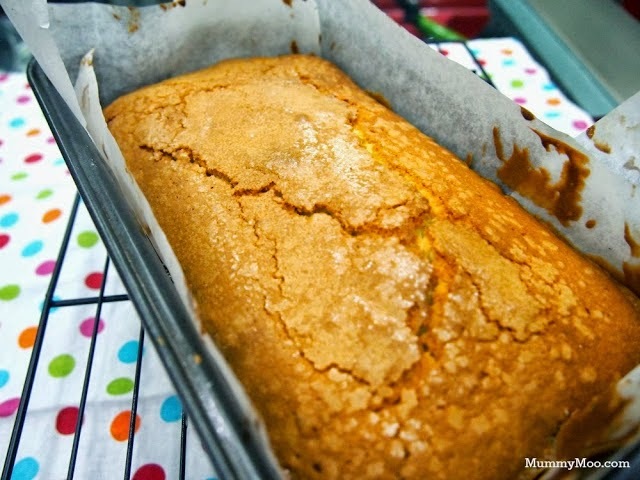 As this cake doesn't use baking powder or soda, it needs the extra 'air' from the whipping in order for it to rise sufficiently. Slowly mix in the flour and 7-Up alternately, starting and ending with flour. 4. Spoon 1/3 of the batter into the prepared pan. Arrange sliced peaches sparingly in a single layer on top of the batter. Too many slices will result in a soggy cake, so you've been warned! 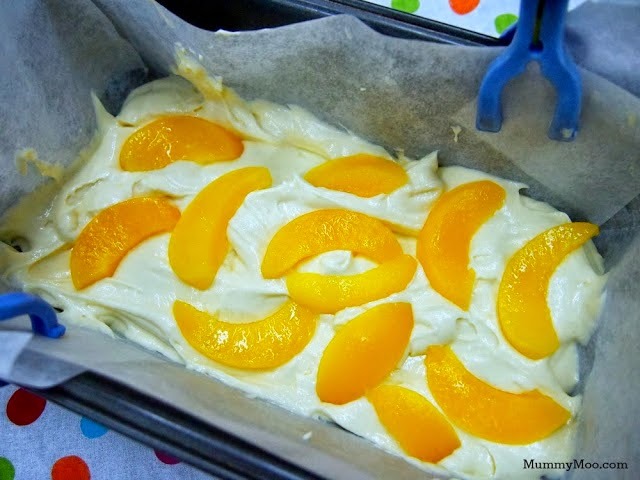 Cover with a layer of batter, more sliced peaches, and smooth the remaining batter on top. 6. Sprinkle icing sugar, and be prepared to have more than one slice.